In the United States, BNP Paribas places great importance on its responsibility toward the Community, by reinforcing its corporate philanthropy through employee volunteering, as well as by promoting diversity and inclusion. BNP Paribas in the U.S. has developed a thorough employee volunteering initiative, that supports activities of nonprofit organizations across the country to bring change in local communities. The Bank is also an active supporter of the arts and cultural institutions across the country. 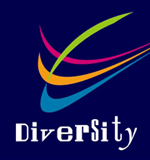 In 2008, the US Diversity Council was created to lead BNP Paribas’ efforts in Diversity and Inclusion. BNP Paribas takes great pride in promoting and maintaining a diverse, inclusive, and stimulating work environment.